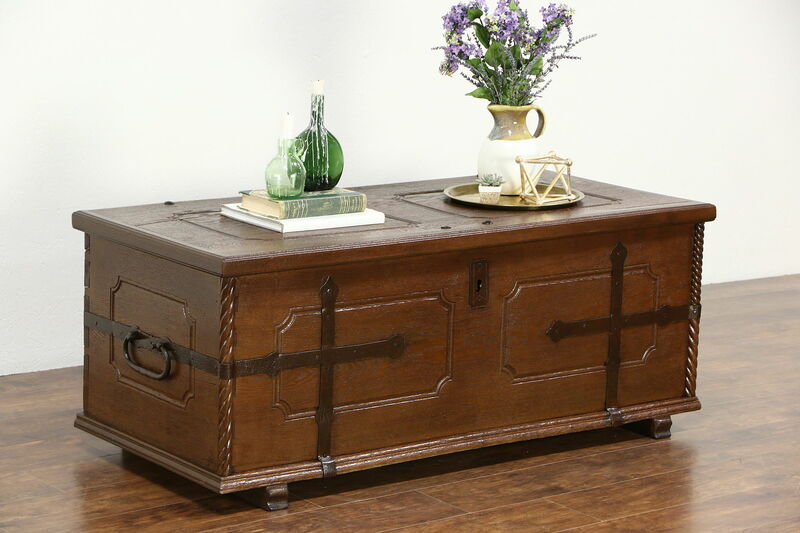 This immigrant or dowry trunk or chest was hand hewn of solid oak in Sweden about 1850, and could be a rugged coffee table today. The restored finish is in excellent condition on this antique Scandinavian furniture. There are shrinkage separations from age, see photos. Hand wrought iron handles and hinges are original, there is no lock. Spiral corner columns are charming. Measurements are 56" long, 25" deep and 22" tall.